Birthdays are funny things aren’t they? When you are young they are longed for beacons of pure joy, the one day of the year when you get all the attention and your siblings have to stand in line. The one day when, if you are really lucky, you get the Girls World Head or Arctic Action Man that you knew would instantly make your life complete. another year of living means another year away from your joyful youth. A youth spent happily, totally and completely oblivious of the lines, age spots and aching bones to come, a youth spent in blissful ignorance of the mornings you will scoot past the bathroom mirror to avoid acknowledging the face you are beginning not to recognise. I appear to turn into a bit* of a grumpy sod when my birthday comes round. This makes for a rather tricky atmosphere in our household as the children are REALLY excited by the impending birthday cake and menu of surprises, and my husband tries SO hard to make it all brilliant (which generally he does manage to achieve, pat on the back, gold star). Given half the chance I would be a Bah Humbug and slope off to log cabin in the woods by myself for the day to wallow in the doom of getting old before emerging happy and refreshed the following day and ready for the newly revealed path of 365 (or 366) days before doing it all over again. This year was no exception. I was a grumpy old witch in the run up to my birthday however I did my best to fulfil all the celebratory obligations but with one change. The cake. Usually I leave this up to my family to sort, we have had hubby’s homemade Victoria Sponge, shop bought sugary sickliness, a Swiss gateaux cake or my Mum’s chocolate sponge. However, I do love a good homemade cake, and I have to say that I really enjoy baking them. Last year I purchased ‘A Year of Cake’ by the Clandestine Cake Club and it has become my go-to book for cakes. Put simply, this book is a marvel. Every cake I have made from it turns out exactly how it should, and so far I have only baked one which tasted a bit, well, weird. ‘A Year of Cake’ is B. R. illiant. This year I decided to bake my birthday cake. B. R. illiant. Then the children asked to ‘help’. 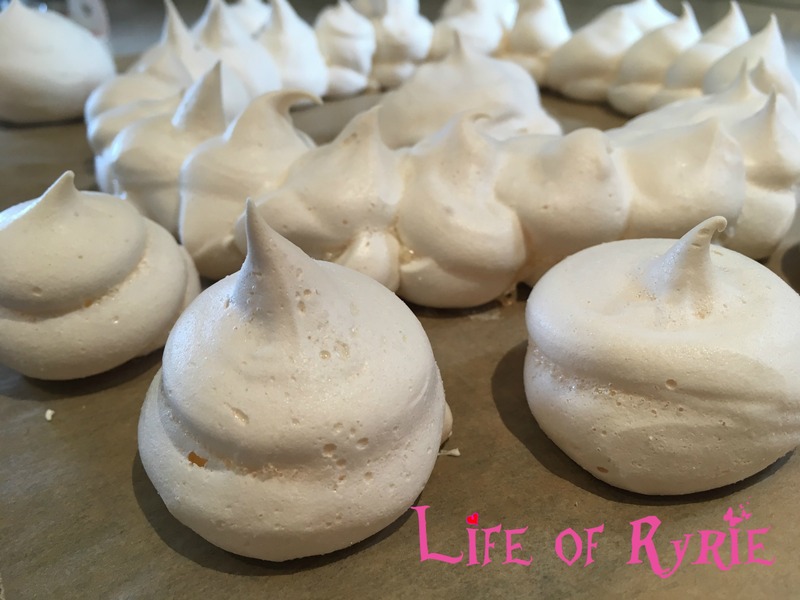 Baking with children is traditionally a marvellous activity, we all know what is meant to happen with our rosy spectacles firmly in place and Ladybird book images floating through our heads. Cake baking with children is a delightful time spent bonding over clouds of flour descending gently into a bed of butter and sugar, pristine flowery aprons, smiling faces and the opportunity to get a bit of sneaky maths practice in. In reality though cake baking with children is THE activity from hell usually involving lots of ‘what did you do that for’ type comments along with eggshell fishing and general despair at the child’s seeming inability to recognise numerals, before invariably ending with mixture in places you’ll be finding for weeks and with mould on. Cake baking with children is usually best avoided. As I was being a grumpy old witch I felt I should show willing and permit the children to help in baking my really special birthday cake. 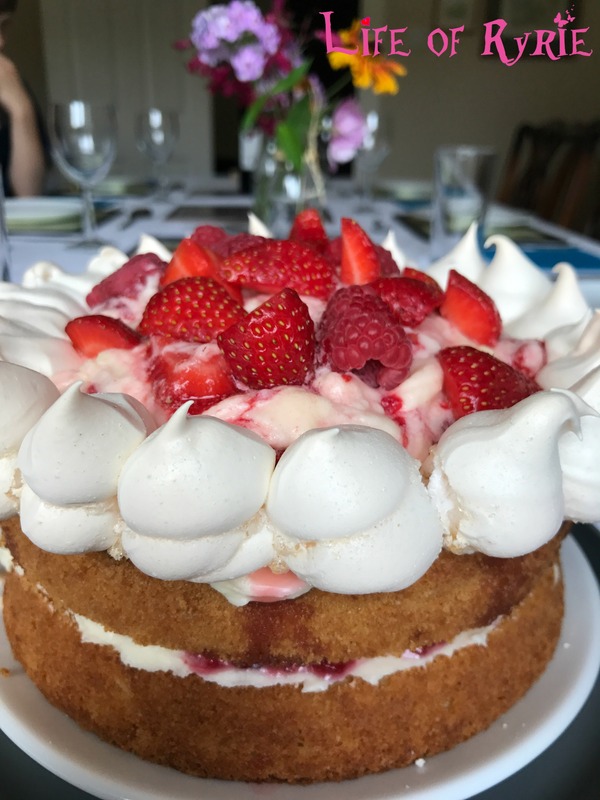 I let them choose the cake (from A Year of Cake of course) they chose the Eton Mess Cake. I felt this would be rather apt as mess was definitely something that would be created. This year, despite my general bad mood at turning yet another year older, a mini birthday miracle happened in my kitchen. I actually baked with the children and there was no shouting, no tears and no mixture caught in the radio speaker! I would almost venture to say that I would bake with them again. *I say, “a bit” although I think my husband would scoff at this choice of word.